EGCg anitioxidant supplement, or a cup of green tea for your health? EGCg, or epigalocatechin-galate, is a type of catechin found in green tea, also known as an effective antioxidant. Often times you see EGCg extract being sold separately as a supplement. Which is better for your health? 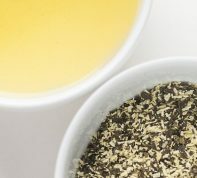 Largely it’s preference since supplement pills are easy to use and if you don’t drink tea at all, what good is it to have your good green tea in your kitchen cabinet? but it’s good to know the source. Where is your EGCg supplement extracted from? and which type of green tea? 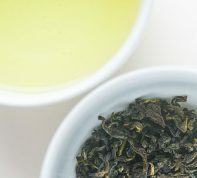 There are many types of green tea. If you travelled in China, you may be surprised at great varieties of tea that they produce. Each regional label is also unique. 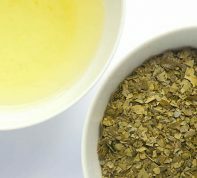 Other countries like Japan, vietnam, and countries in south America also produce green tea, yet the quality and the purpose of the end product use are all different. Large quantity of tea leaf is produced for higher price since appearance as well as flavor of tea is important while tea leaf in RTD (Ready-to-drink) or bottled tea and cosmetic products are less concerned because you don’t see the leaf anyway. Generally companies are not required to label where their tea originates so I doubt that they use highest quality leaf. There are various ways to extract EGCg, but my point is either extract or drink in a cup? This argument is similar to whether you use western medicine or oriental medicine. Just as oriental medicine uses plant materials to utilize its full potency and collective effect. It’s not just one ingredient. Similarly, a study shows that another ingredient naturally found in green tea, vitamin C prevents oxidation of EGCg antioxidant in green tea. If you read the label of bottled tea ingredient, you generally find Vitamin C added to it to prevent catechins getting oxidized. Vitamin C is not only helping EGCg stabilize, but the reverse is true too. Vitamin C is sensitive to heat, yet vitamin C in green tea is relatively stable because EGCg has stabilizing effect. Citric acid and pectin are also found in green tea, are known to stabilize vitamin C in green tea as well.